So it’s the season of love (apparently) and if you are spending it with that special someone, we’ve got you covered with some delicious recipes below. Why not give one or more a go! (Personally I’ll be spending it with the dog on the sofa re-watching Killing Eve but that’s just me). 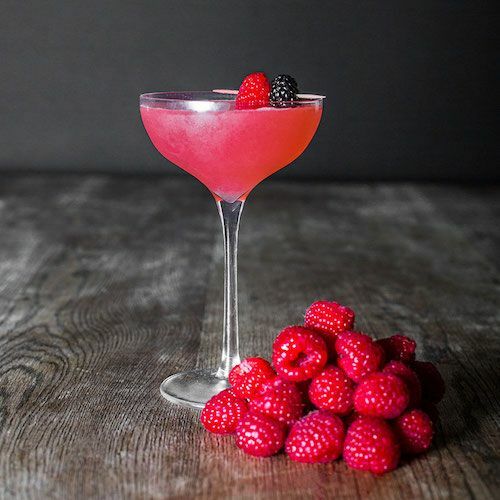 A cocktail like this by @moodymixologist would go down an absolute treat! A bit of bubbly, a nice bit of garnishing and of course gin! It’s beautifully elegant, some effort and home cookin’ has been involved to impress your partner with the homemade rose petal syrup. But overall it’s a pretty straightforward cocktail that gives the impression you’ve gone that extra mile to make Valentine’s Day a bit more special! Guys, Valentine’s Day isn’t on a Friday or at the weekend. It’s due to fall on that part of the week where you feel like you’ve been working for 17 years straight and you just want the week to end – can you really be bothered to leave the house and go out? As in outside?! Where there’s the potential for snow and other dangers?! 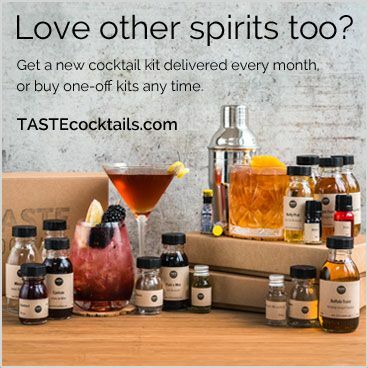 No me neither, instead of heading out for those expensive Valentine’s Day drinks in that overcrowded-with-couples cocktail bar, light some candles, whack on Titanic and settle down with a homemade cocktail. 4. Show how much you know your partner! 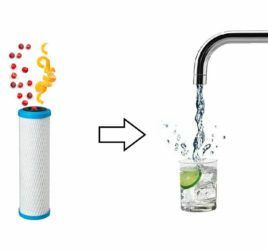 You can show how much you know your partner by using their gin and ingredients/flavours in a homemade cocktail! BUT, don’t fret if you don’t have an iota of a clue what your partner really likes, just go with the most popular choice because it will probably statistically be right. confident gin is probs the way to go. 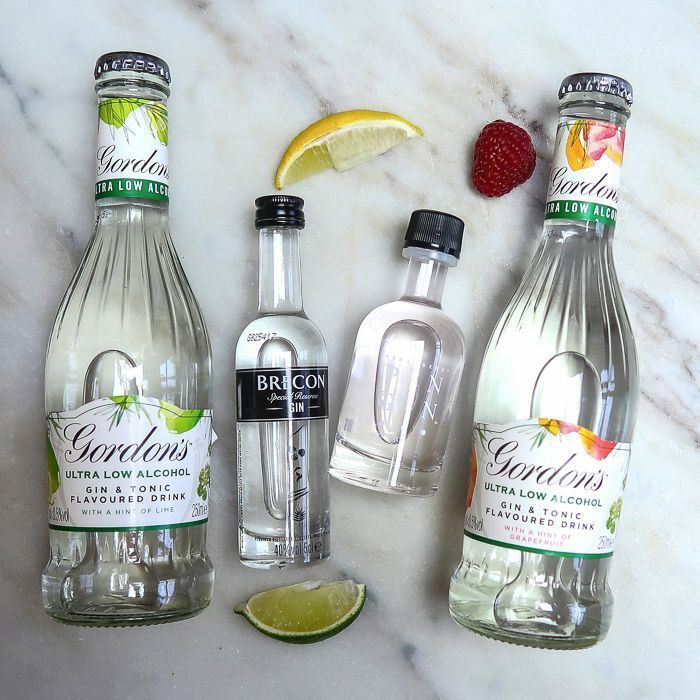 TDB also offered that over 50% of the gin growth in the UK last year came from flavoured gin sales, and just under 3/4s of that growth came from pink gin. 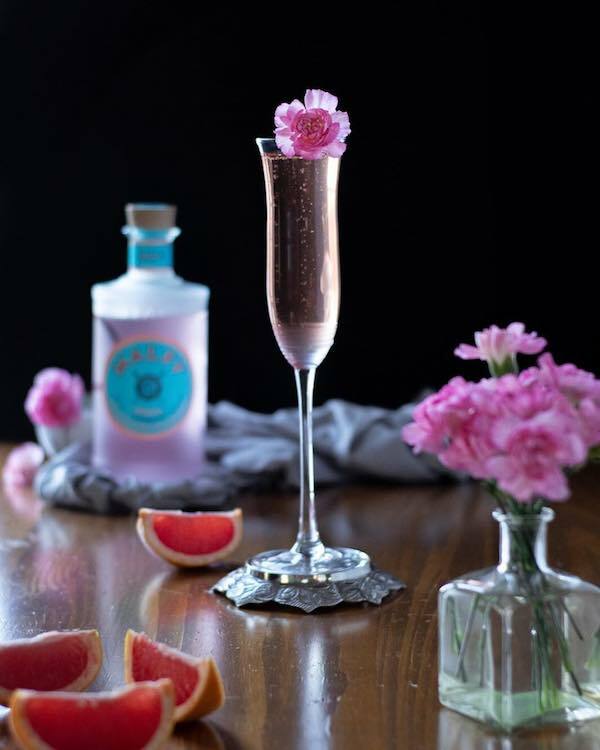 This is practically science guys … a pink gin cocktail has a high probability of impressing your partner! 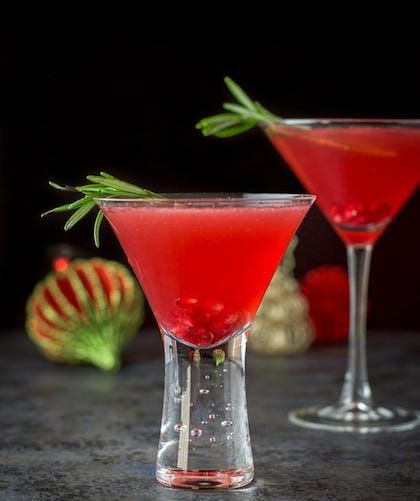 Try this simply exquisite Pinktini by Pinkster Gin! 5. Also … apparently British women love the bevs? 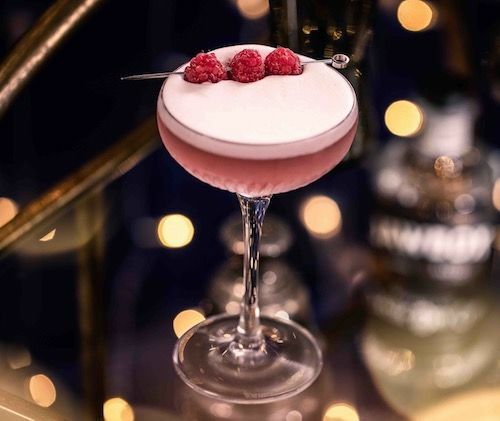 According to a Telegraph article, as of 2018 British women are now some of the top tipplers in the world! Skip the love bug teddy which will disintegrate within a few weeks, and make your lass (or bff) a classy and delicious chocolate gin shot! 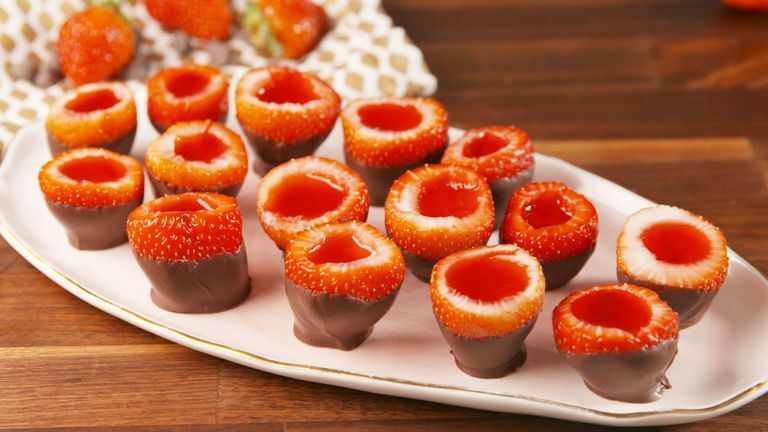 Scoop out the insides of the strawberries, creating a “shot glass.” Discard insides. In a large bowl, whisk together Jell-O and boiling water until completely dissolved. 6. Valentine’s Day isn’t Christmas! 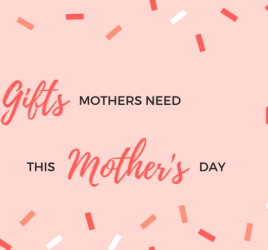 Do we really need a wrapped V-Day gift? 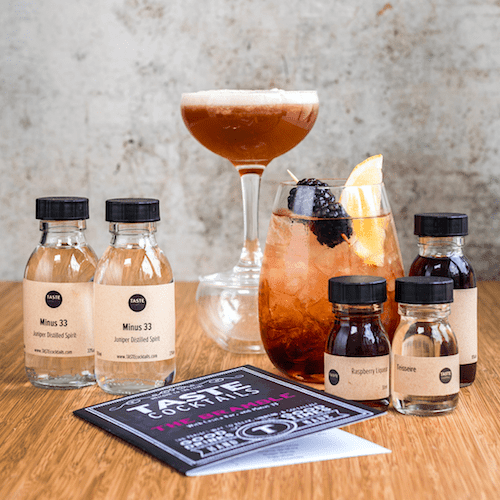 2) get a cocktail making kit with all the ingredients included so you can make it together! 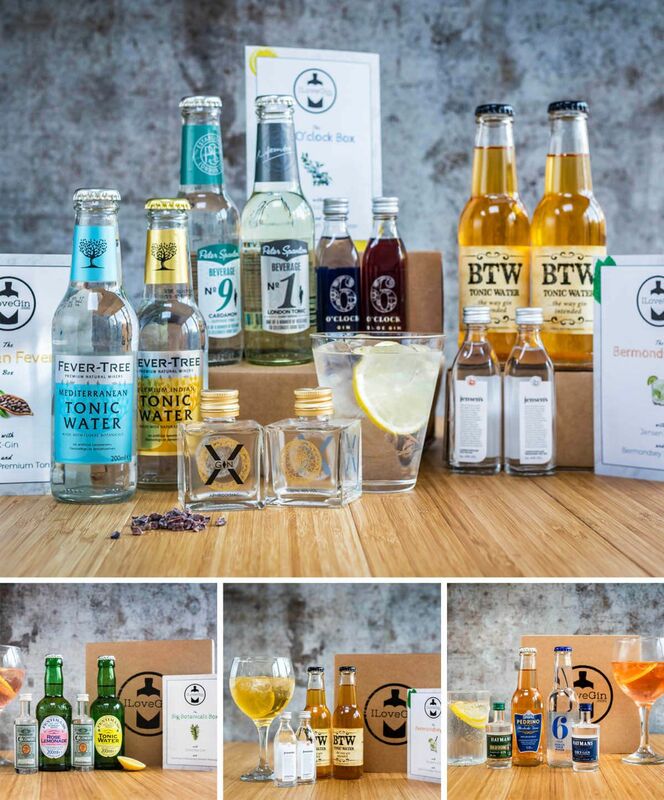 Thank you to our friends at Taste Cocktails for hooking us up with this Gin Bramble cocktail kit! 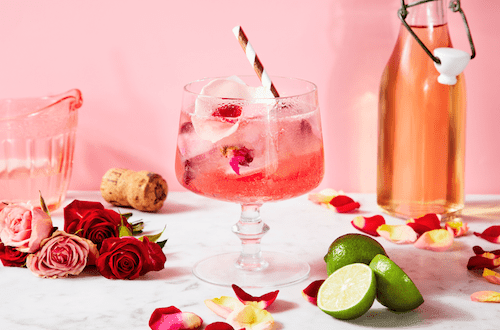 Break the trend of discount bubbly, flowers and a box of chocolates – instead why not combine them all into a single cocktail?! Think of the residual brownie points you can carry over when you forget your anniversary!! Are you thinking of making the perfect three course meal for your partner? Firstly, you rock! 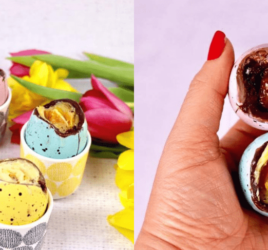 But rather than trying that over complicated chocolate construction you saw on Pinterest, why not conclude your home cooked feast with a dessert cocktail? 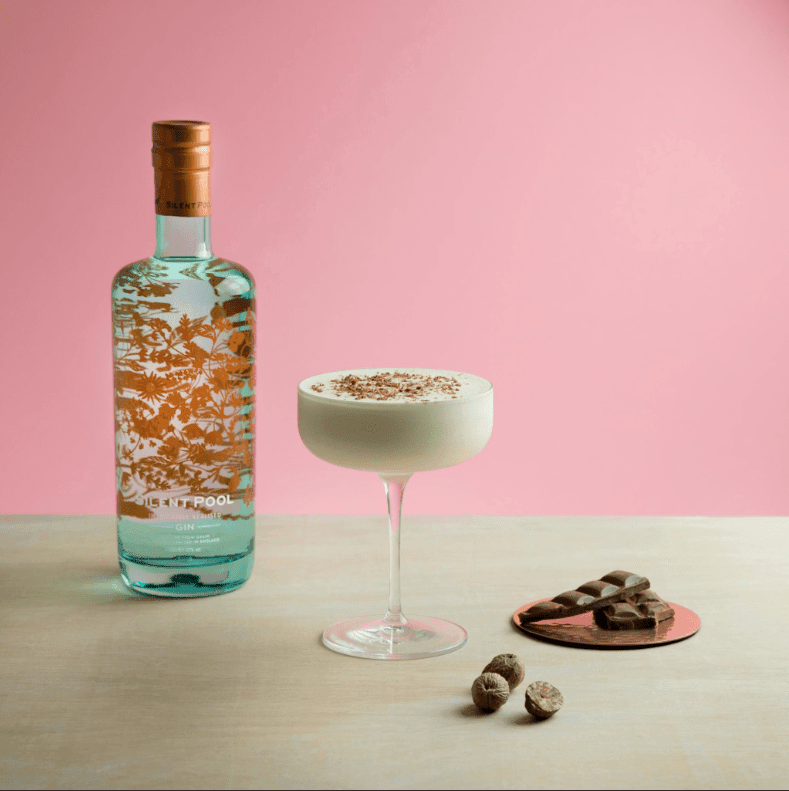 We’d highly recommend Silent Pool’s Chocolate Alexander – it’s sweet, chocolatey, visually classic (like your date right?) and DELICIOUS.